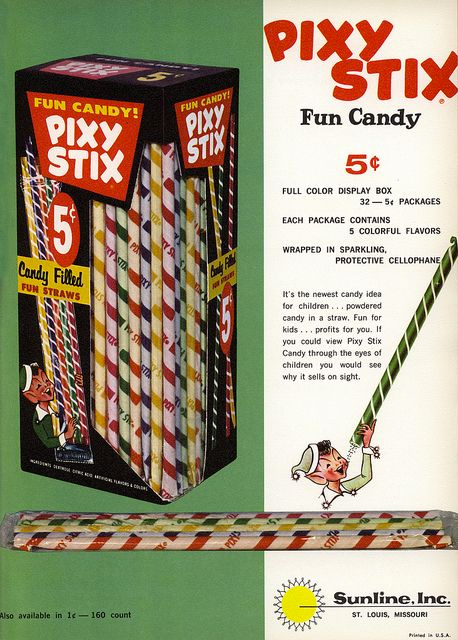 Candy cigarettes aside, the first straw-like food object I can remember from my childhood are Pixy Stix. The brightly colored straws have origins to the 1940s and were filled with a sweet n’ sour powdery candy that jettisoned my energy levels into outer orbit! #OffDaCharts! If I cough-choked while inhaling the sugary straws, I knew I was having a good time. 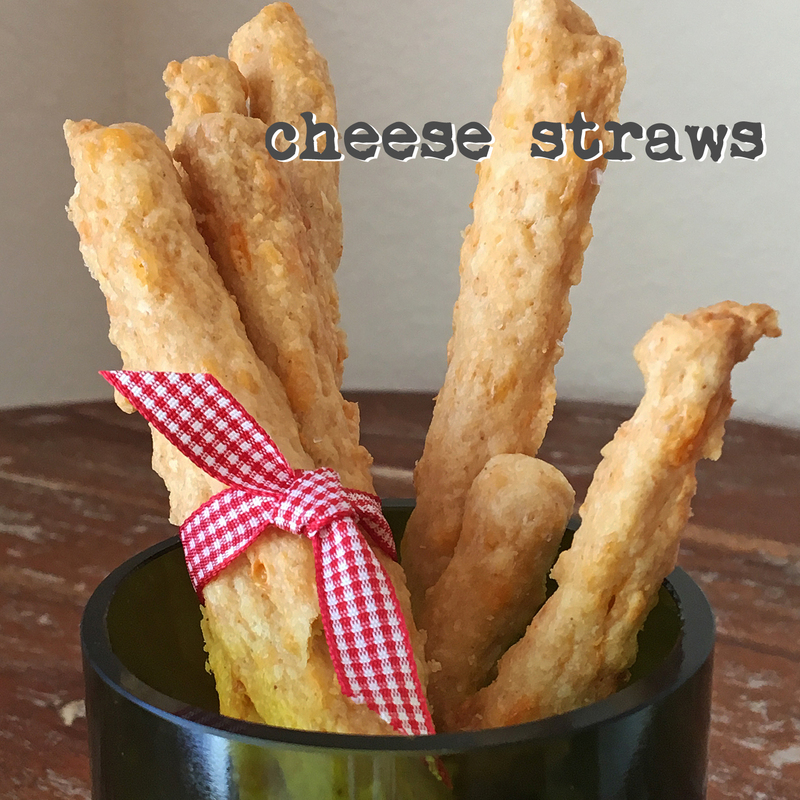 Flash forward quite a few years: These cheese straws are a savory treat that were surprisingly delicious to me – they have a nice buttery-cheesy taste and a few seconds later I enjoyed the warm – not spicy – flavor dismount, compliments of the cayenne pepper. 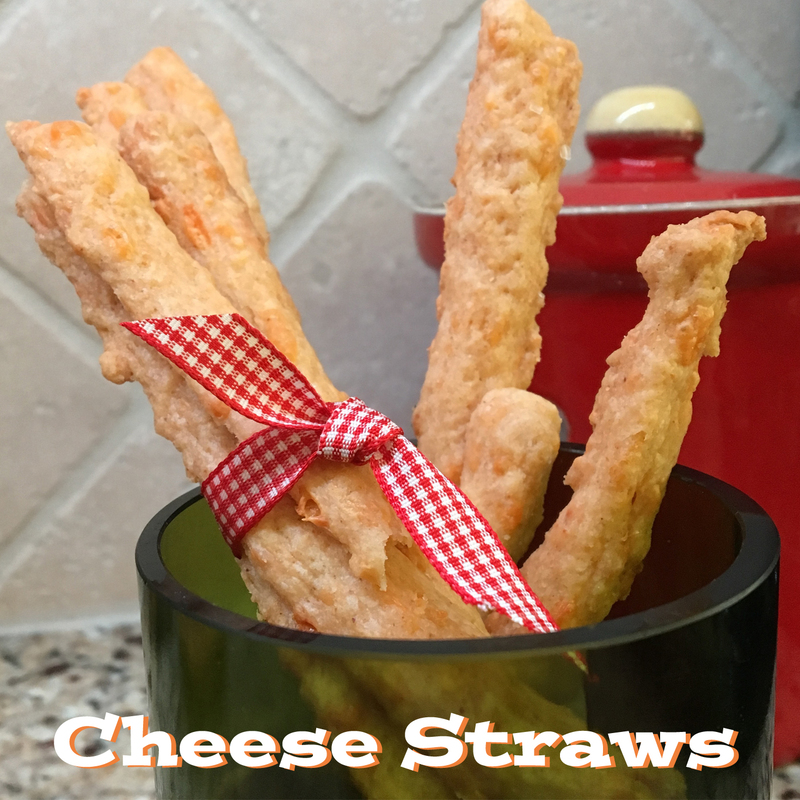 Younger foodies will enjoy helping you make these straws – they’re perfect for your game day lineup or any day you’d like an extra-special pick-me-up beyond the usual potato or tortilla chips. 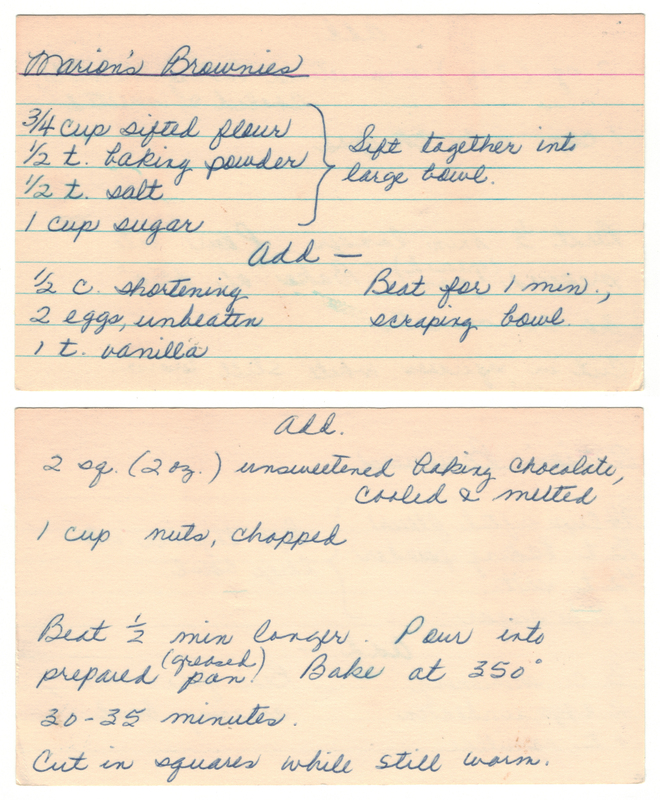 ❤ Per the recipe card below… “Cookie press?” “Star plate?” Yeah, this is why this recipe wasn’t one of the early chosen ones I’ve made here at Betty’s Cook Nook – I had no clue what these items were! After some online research I realized a cookie press is a quite popular semi-automatic weapon for cooks! 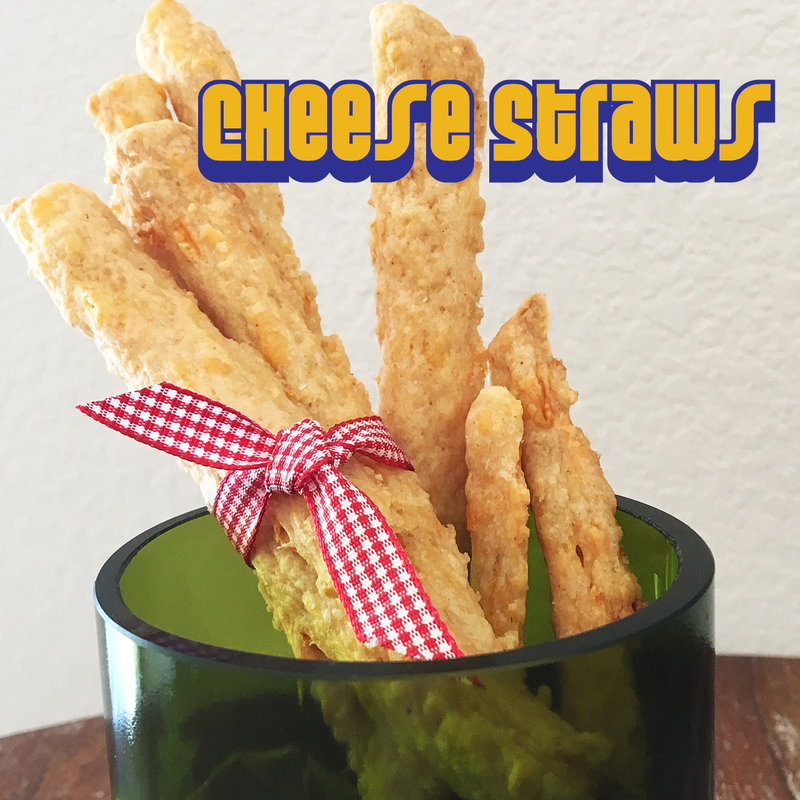 I ran to my nearest store and scored this new kitchen gadget which is a foodie essential for making these cheese straws. Driving home I remembered that Mom had a cookie press, too! It was an all-metal version and it had lots of extra parts that were kept by its side. Funny how certain things can conjure up *almost* forgotten memories! ❤ These straws are delicate so handle with TLC. No worries – even if they break they still taste the same: AWESOME! 1. Sift together the red pepper, flour, and baking powder. 2. Cut in the cheese, butter and then add the water. Mix well. 3. 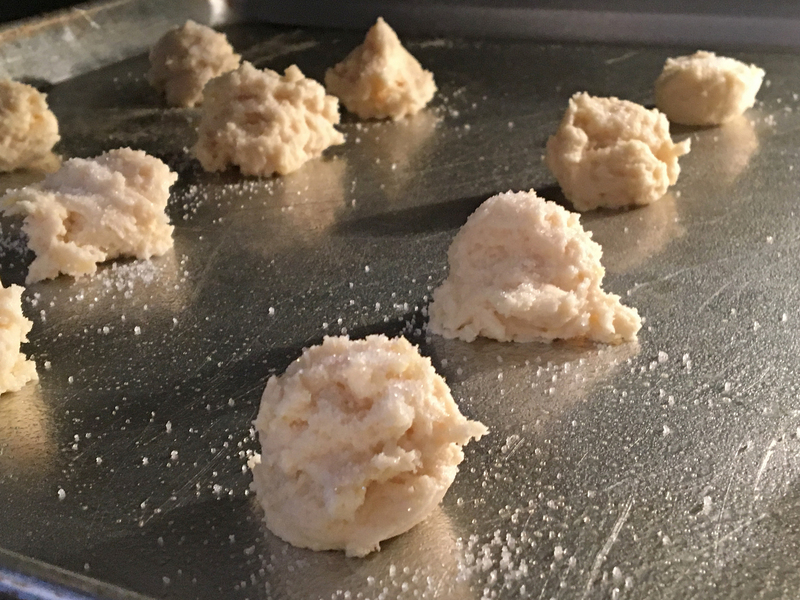 Insert the cheesy dough into your cookie press and squeeze it into your desired length, then cut to free it from your foodie gun. Note: If you find that the dough is too thick to easily come out of the press you can remove it, add a little bit more water and reload. 4. 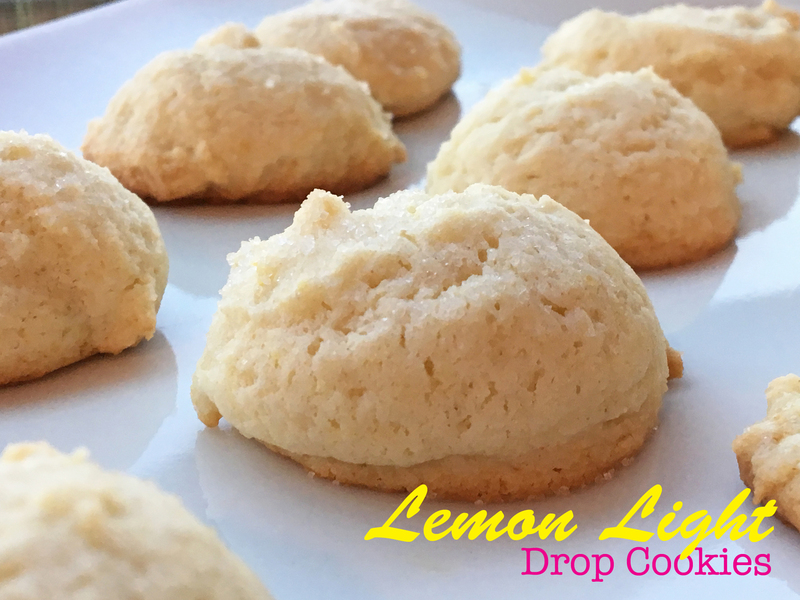 Bake on a greased cookie sheet for 8-10 minutes. Remove from oven and let cool. 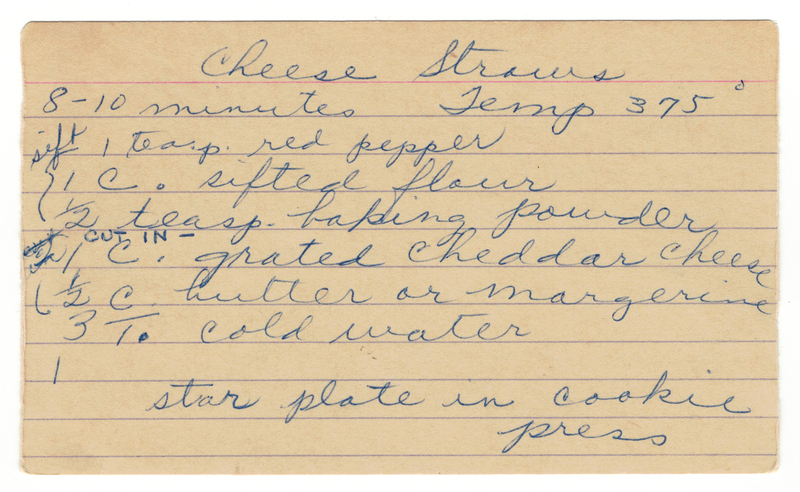 Here’s A Scan Of Mom’s Original Cheese Straws Recipe. Growing up in Texas I had no clue the true passion folks have for our country state. 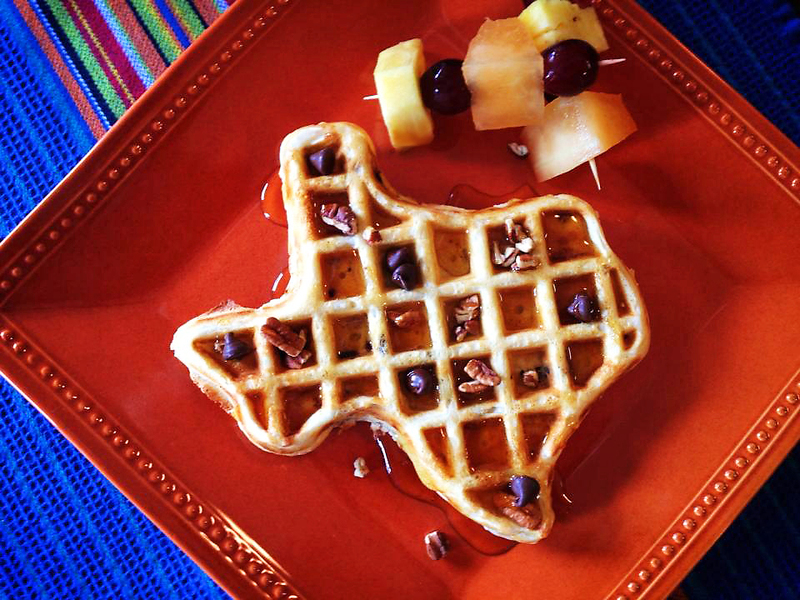 Nowadays it seems like most everything comes in the shape of Texas these days. Blocks of cheese. Stepping stones. Sunglasses. Pencils. Coasters. Coffee Tables. Swimming pools. In the kitchen some of my most prized possessions include a Texas-shaped cutting board, ice cube trays, pasta, cookie cutters, a hamburger press and my very, very special Texas waffle maker. I’m not kidding! My Very Own Chocolate Chip Pecan Waffle. Mine! Mine! Mine! PS ~ I just ate the Texas Panhandle! 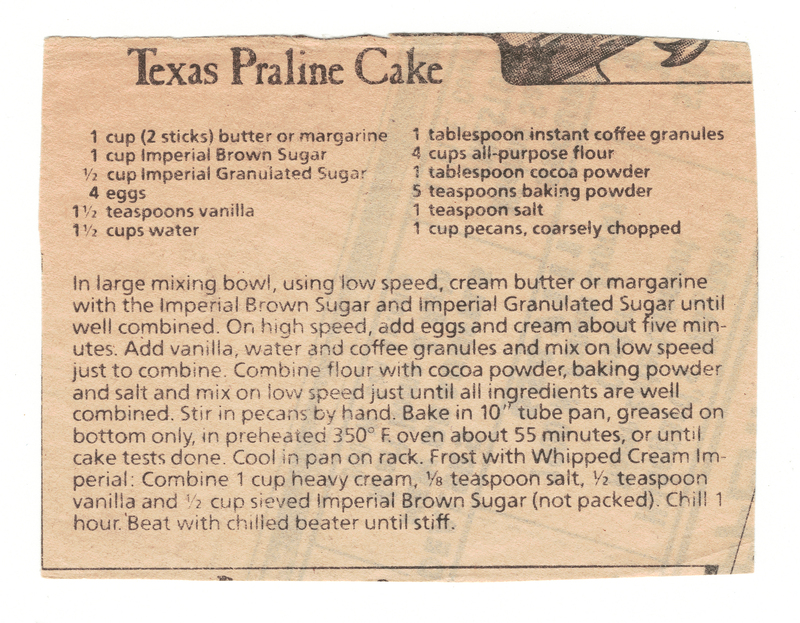 For this recipe, when I saw “Texas” in the name I instinctively knew what I had to do – cut the cake into my favorite shape. 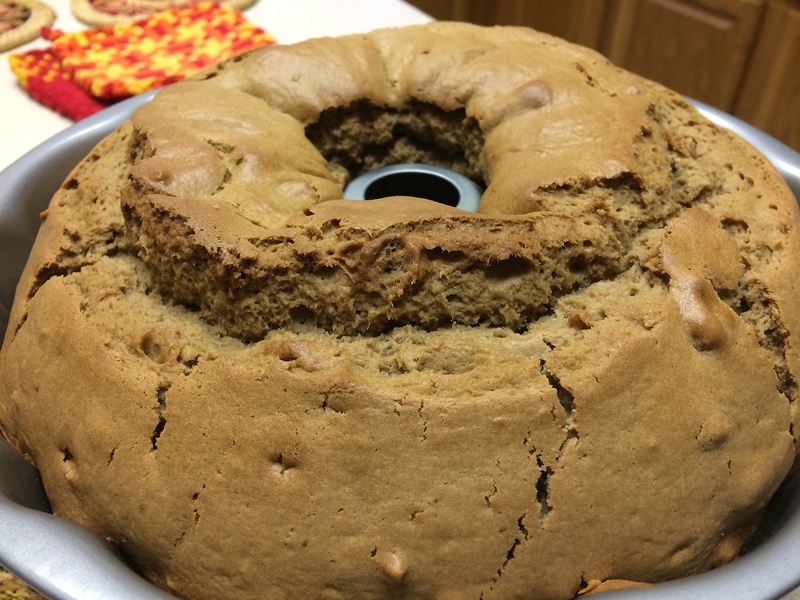 But sadly, when I realized this cake is actually made from a bundt pan (not a sheet cake), I decided to spare you all my creative talents attempting to “Tex-afy” this dish. ❤ If this were “fight club” turned “cooking club” the 1st rule of cooking club would be to clearly list all ingredients in your ingredients list! This is not the first time I skimmed a recipe (below), rushed to the store to fill-in my ingredient holes then when making the dish I discover that there were more ingredients buried deep, deep down in the recipe’s body copy. [ insert angry face here ]. This is my own fault of course and I hopefully will remember to read recipes from A-to-Z next time. 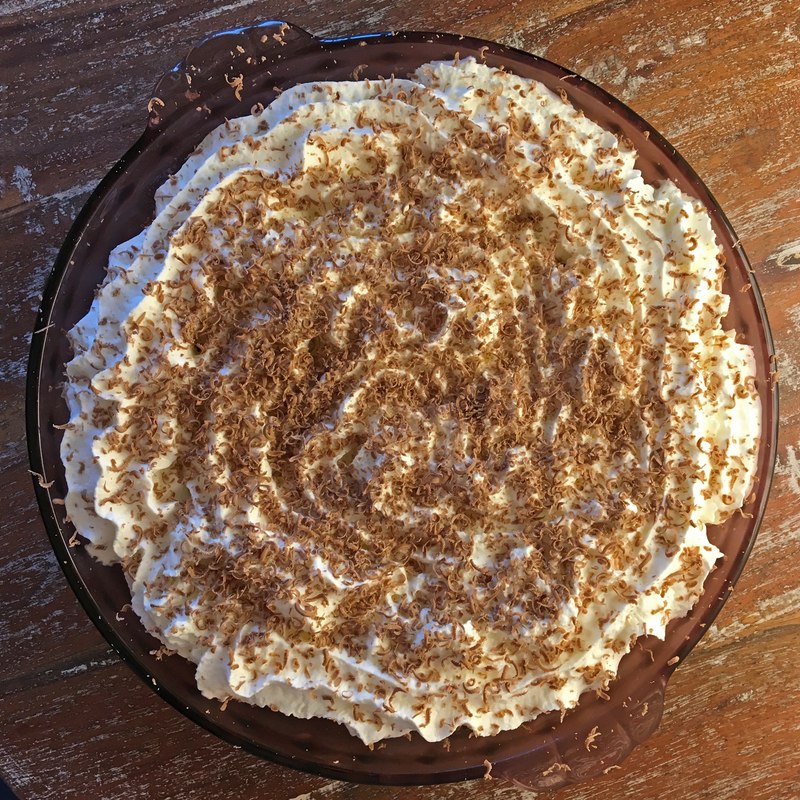 Just note that I included all ingredients below – including those for the Whipped Cream Imperial – to make it easy for you to have the ingredient essentials at the ready. [ insert happy face here ]. ❤ Instant coffee granules? Me, either. But surprisingly they worked magic in this dish. What else am I missing here? 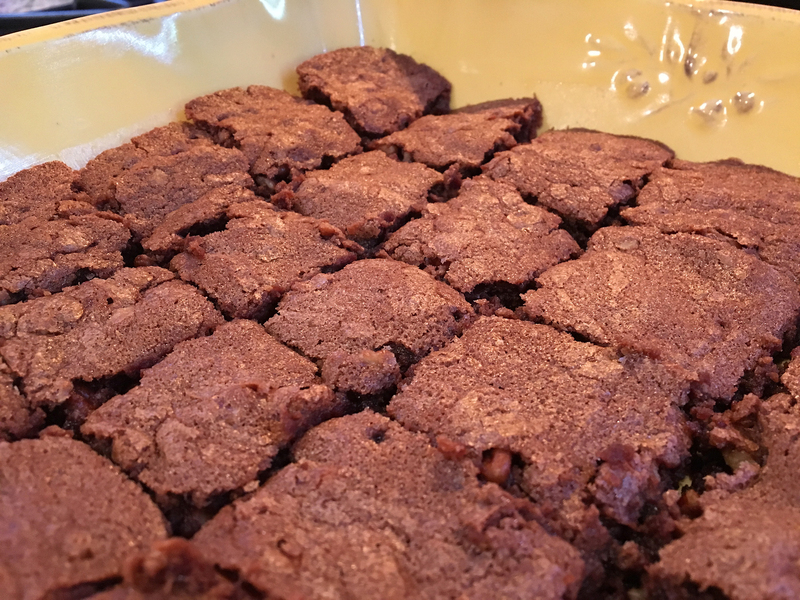 Coffee granule brownies? 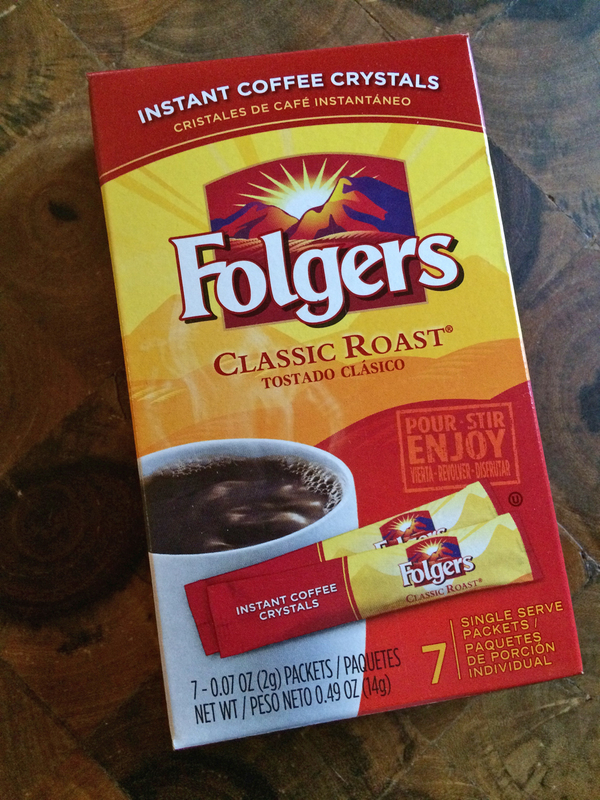 Instant coffee toffee (if only)? Chili con carne con coffee? That’s just wrong. 0. Heat It Up: Preheat oven to 350°F. 1. 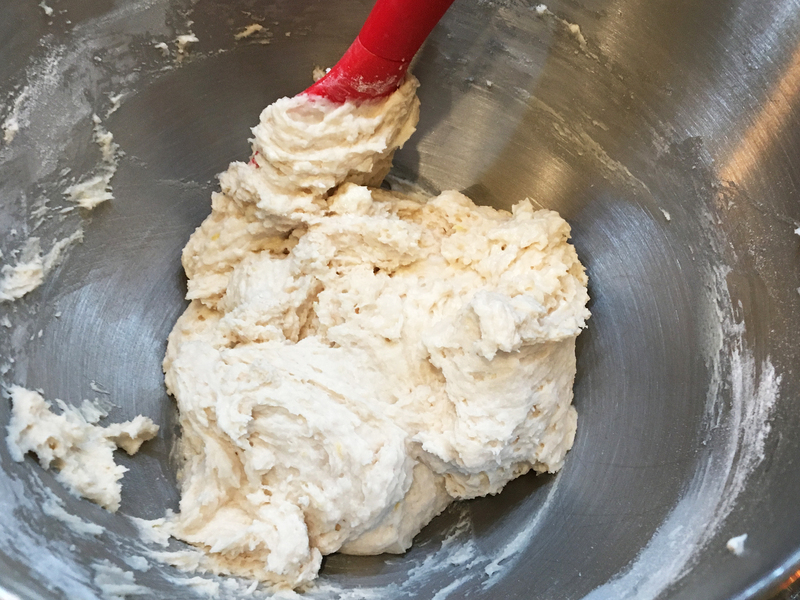 Make Dough: In a large mixing bowl using low speed, cream butter with the brown and white sugars until well combined. On high speed, add the eggs and cream them about five minutes. Add the vanilla, water and coffee granules and mix on low speed just to combine. In a separate bowl whisk together the flour, cocoa powder, baking powder and salt. Add the dry mix to the wet mix on low speed just until all ingredients are well combined. Stir in the pecans by hand. 3. To Bake: Pour the dough into a 10″ tube pan that’s been greased on the bottom only. Bake in preheated oven about 55 minutes or until cake tests done. Cool your cake in the pan on a metal/wood cooling rack. 4. 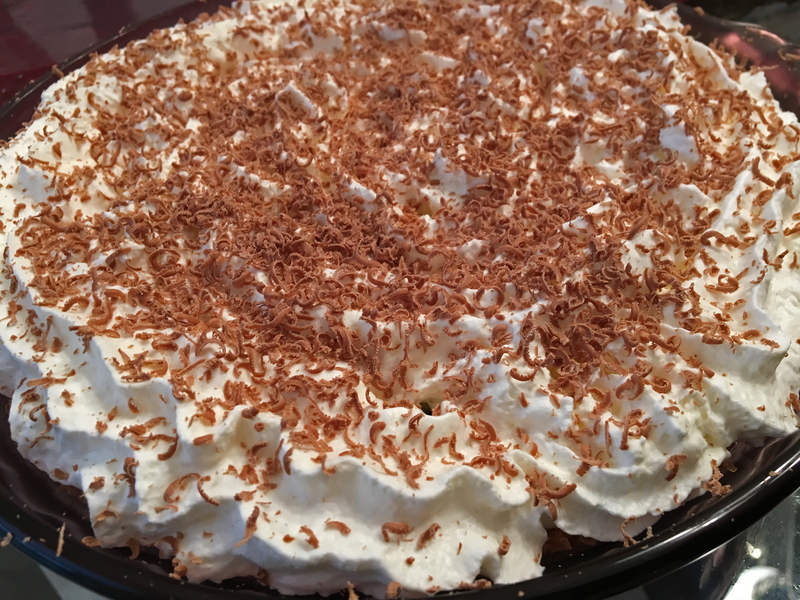 To Frost: To make the “Whipped Cream Imperial” topping combine by hand the four topping ingredients above (heavy cream, salt, vanilla and brown sugar). Chill the frosting mixture for 1 hour in the fridge. Beat with a chilled beater until stiff. PS ~ If you’re still reading this recipe you may be wondering why I didn’t include a picture of the cake frosted. Well, me and my gas oven are at odds these days and I think the thermostat is shot and my cake was over-cooked. It still had a good flavor but it was dry so I didn’t frost the cake. This is my second fail proving to me that creating kitchen masterpieces is not as easy as it sounds – especially when your oven hates you. My first fail? These red candy apples. Just looking at a picture of them makes my stomach sad. ♥ Butter instead of margarine? Call me hard-headed, but yes. Plus, I don’t like to anger Mother Nature. ♥ Green maraschino cherries? I had trouble finding them at my local HEB so I went red all the way. Below, when it calls for well-drained cherries, after draining them in a colander transfer them to a paper towel then blot them with a paper towel. ♥ I had lots more glaze leftover. You could easily cut the powdered sugar and milk quantities below in half unless you want more glaze than what’s pictured above. 1. Make sure your butter is softened then preheat your oven to 325°F. Things are about to heat up! 2. 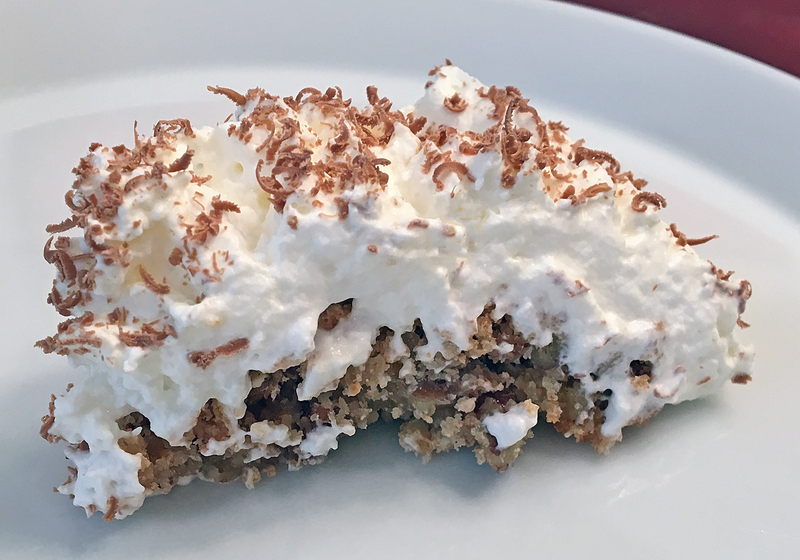 Combine butter, cream cheese and sugar then cream together until light and fluffy. We used our tried and true KitchenAid mixer for the ultimate fluffy. 3. Stir in the vanilla. Add eggs one at a time, beating well with every addition. 4. In a medium bowl gently hand mix 2 cups flour and baking powder then gradually add to the creamed mixture. 5. Combine the remaining flour, cherries and ½ cup of the pecans and fold into the cake batter. 6. Sprinkle the remaining pecans into a greased 10-inch Bundt or tube pan; pour in the cake batter. 7. Bake for 1 hour or until cake tests done. Cool 5 minutes then remove from pan. 8. Combine powdered sugar and milk. 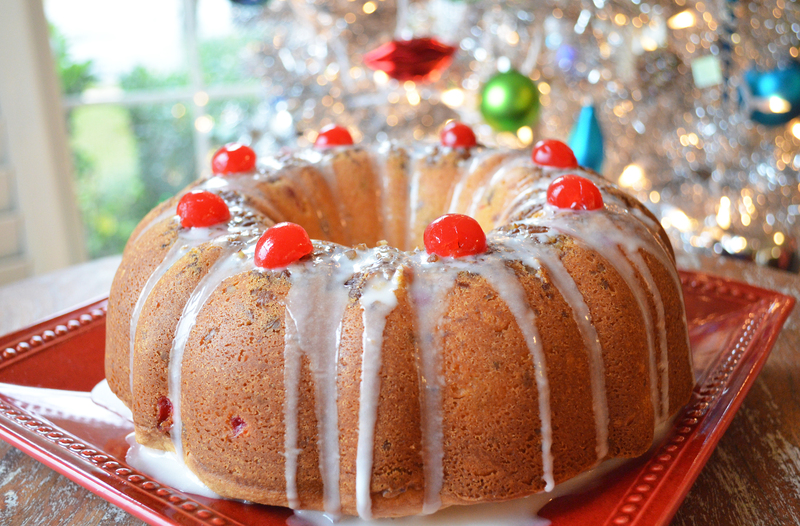 Pour this glaze over the cake and garnish with cherries. 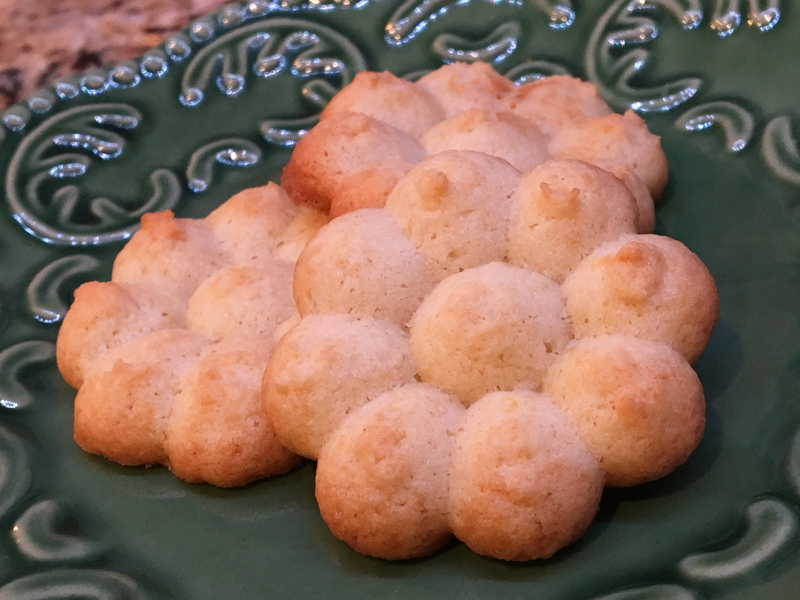 I had never heard of a pineapple cookie before but when Joe found this recipe in Mom’s cookbook I was excited; we had all the ingredients in our kitchen meaning treat consumption was near. We just needed to get the featured ingredient – the pineapple. 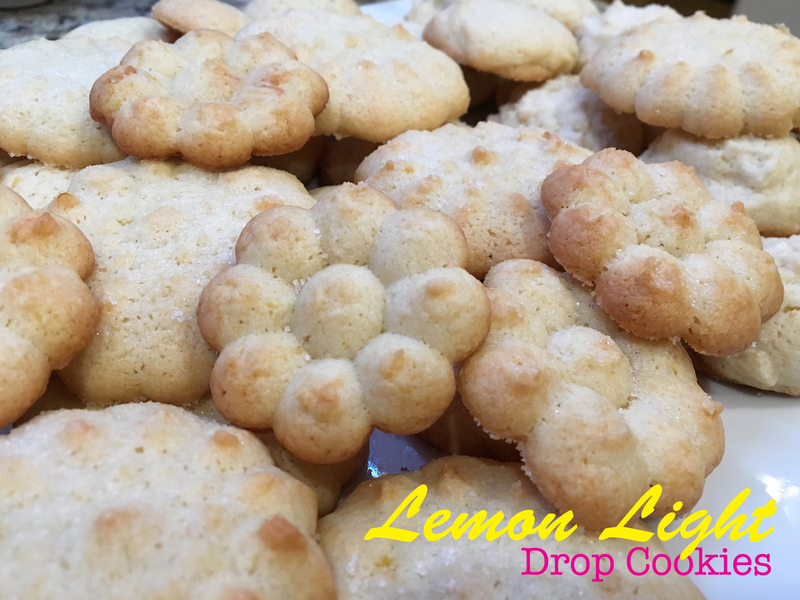 A quick trip to the store and back we started cookie production … Lah de dah … I was following the recipe and noticed that it ended at the bottom of the page Mom tore out of a magazine and there was no continuation of the recipe – no extra page! Click here to hear the sound in my head when I realized the recipe was incomplete! 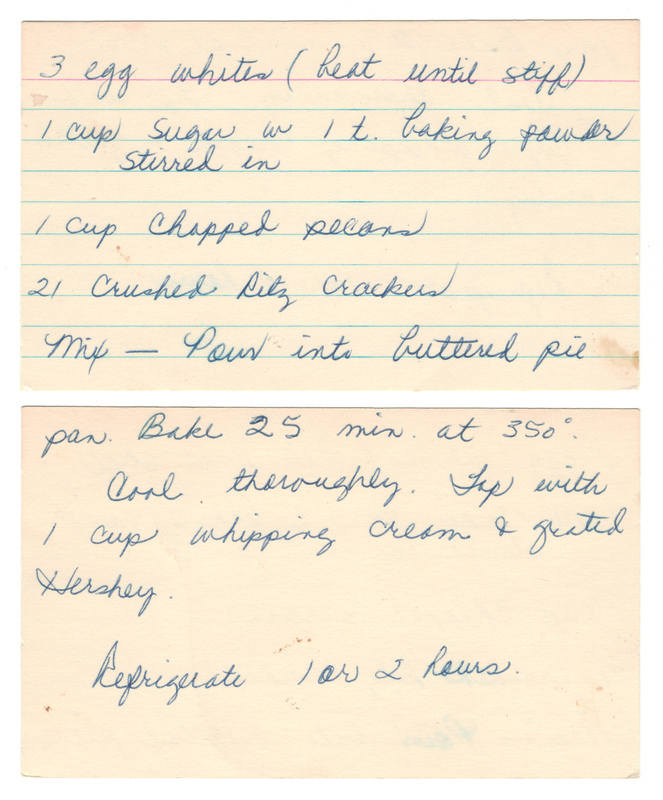 I scoured the front and back of the page (below) containing the recipe and noticed a small callout for folks to send their old-fashioned family recipes to “Southern Living” – and if their recipe was used they would receive $5/each. Note to self: Southern Living. I also noticed a Lemon Jell-O Peachy Cream Salad recipe with a copyright of 1979. 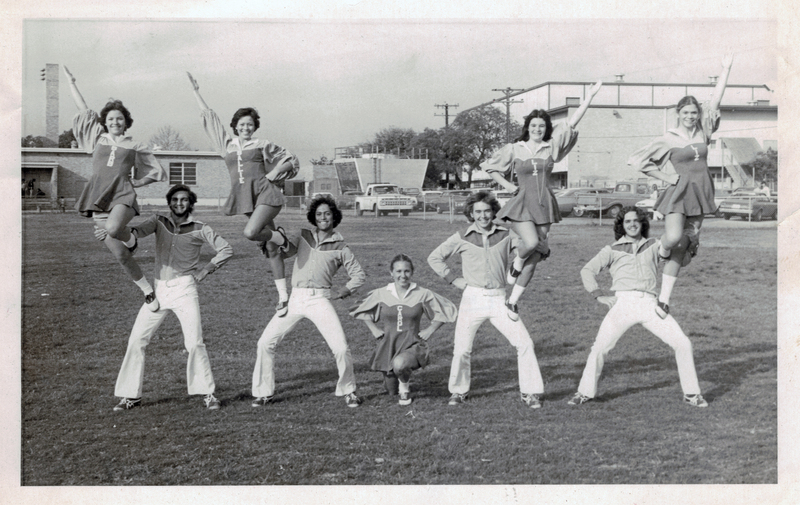 Note to self: 1979. With these two data nuggets I should have been lucky enough to find the recipe but the interwebs did not produce; I couldn’t find any record of the recipe – not even on SouthernLiving.com. But I found this one, which helped me interpret and fill-in the gaps. Pineapple is one of my most favorite fruits of all. 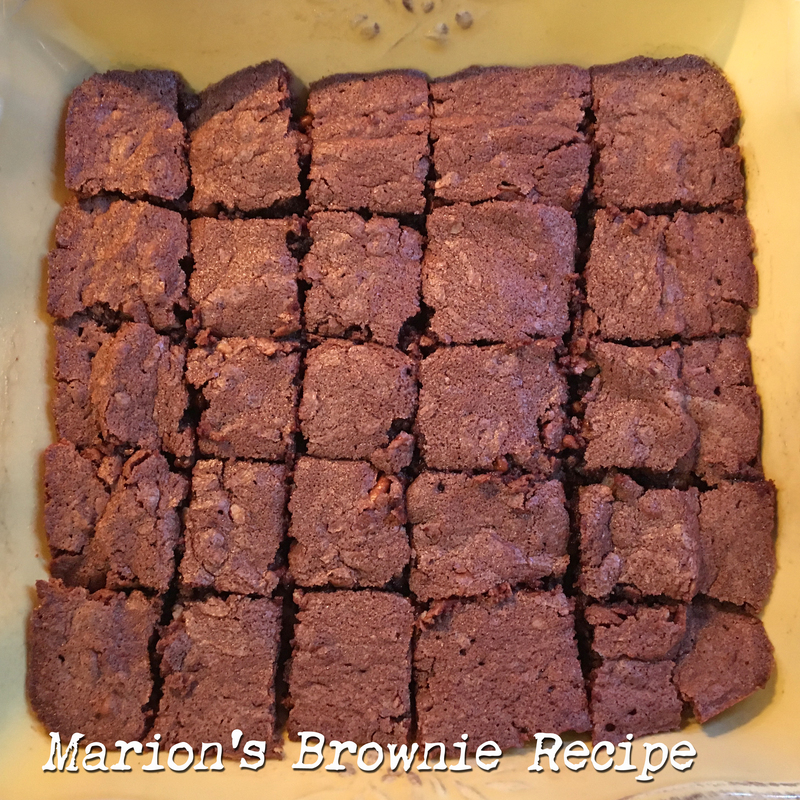 I hope you give this recipe a whirl! ♥ I added the nuts. “Nuts” is an abbreviation for Texas Pecans, y’all. ♥ I read several online complaints about cookies like these being soggy and wet. Follow these instructions! Make sure and DRAIN the pineapple. I had no problems with soggy cookies! ♥ I recently purchased a cookie scoop which makes forming cookies a snap. Give it a squeeze and see! 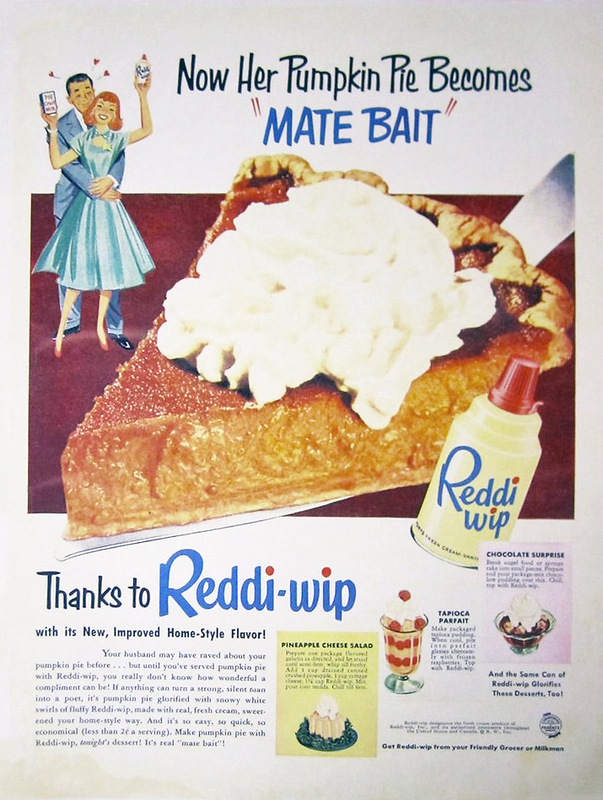 ♥ I’m confident iodized salt was used back in the day. Today I’m a salt lover and have five salt varieties in my kitchen. 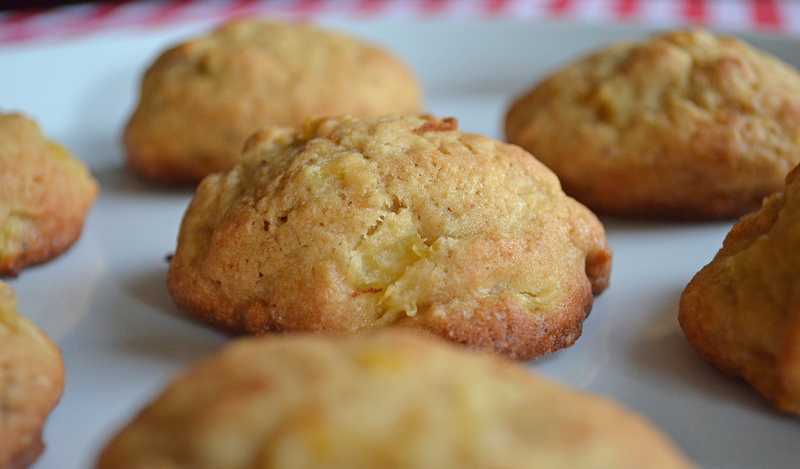 I used a kosher salt for these cookies and was treated to a little kick of salt in-between the pineapple nuggets. I liked. 1. Combine flour, soda, baking powder and salt; set aside. 2. Combine sugars and shortening in a large mixing bowl (I used my Kitchen Aid); cream until light and … [ here’s where I pick up with the rest of the instructions ] … chunky. 3. Beat egg and vanilla into creamed mixture. 4. By hand stir-in the pineapple and nuts. 5. Fold-in half of the dry ingredients from step 1 above into the creamy mixture. Hand mix until well blended. Add/mix/blend the last half of dry ingredients. 6. Drop rounded tablespoonfuls of the cookie dough onto a greased cookie sheet. 7. Bake until light golden brown, about 12-15 minutes. If the first tray turns out a bit crispy, reduce the baking time on the next go.